At the American Heart Association Scientific Sessions in November, our founder, Mellanie True Hills, had the opportunity to talk with MD Magazine about how doctors can help their patients find credible Internet resources rather than telling them not to go on the Internet. Watch the interview below. You can help us continue building and sharing vital information for you by clicking on the Donate button on the right side of this page. Q: How Do You Achieve These Goals? We have lots of educational materials on our website. We have a support forum where we have patients sharing with other patients about their own personal experiences. We do many different types of things at medical conferences — we'll report back on the things that are happening here, and we’ll do video interviews with some of the doctors who presented really interesting information at the conferences. [1:00] Then we have our Patient Conference, an annual conference where patients come together and hear from the world’s experts on afib. This last conference, we had 12 hours of incredible video from all aspects of afib. We’re working on our plans for next year's conference, which instead of being [1:30] a day and a half, will be two and a half days. Lots of really great content for patients. We also invite doctors to attend to understand the patient perspective on things. Q: How Do You Raise Awareness For Your Cause? We are the number one arrhythmia site on the Internet and among the top five heart disease sites, so a lot of times, when people are out there Googling this condition, we’ll pop right up and they'll find out about us that way. [2:00] In addition, we're at medical conferences, so doctors learn about us that way. And then patients will share with each other. And in addition, there are a number of other forums out there on the Internet — Facebook groups, Yahoo Groups, etc. 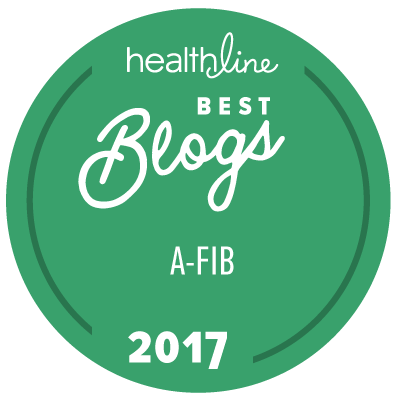 — and our name gets shared across those groups as well because we're a highly trusted resource for those who are living with atrial fibrillation. [2:30] In addition, we have collaborated with the American Heart Association on a site called [link: www.myafibexperience.org] MyAFibExperience.org [/link] and so patients who come to that site and get information, and participate in the forum there, also learn about us there as well. Q: How Do You Ensure Getting Correct Information To Patients? One of the things that we tell doctors about, that I believe is really important to know about, is a certification called the HON code seal. [3:00] HON is short for Health on the Net Foundation. It's a foundation in Switzerland that manages the audits of health and medical websites to identify those that are credible and trustworthy. There are eight guiding principles for a credible, trustworthy web site. To get the HON code seal, you must go through this audit on an annual basis; we've just gone through being re-audited and certified [3:30], and met all of the criteria as well. So, we encourage doctors to tell their patients about the HON code seal and to look for that to signify a credible, trustworthy medical website. Q: What Are The Biggest Issues Facing Patients? One of the things that concerns me most is that many patients are not on anything for stroke prevention when they truly should be. We have, in the guidelines, [4:00] a tool called the CHA2DS2-VASc scoring system, and many doctors don't know about this particular tool. This tool decides whether a patient is at high risk or low risk or at a medium risk, and based on the risk factors, a patient should or should not be on an anticoagulant. Many times we see patients who are on anticoagulants who shouldn't be, and conversely we see a lot of [4:30] patients who aren't on anticoagulants and should be. The guidelines don't say one particular medication over another, and there are a lot of options out there — there's the old standby, warfarin; then there are the newer anticoagulants — there are many, many options for patients. But just because a patient can't take one of those doesn't mean they can't take some of the others. We see many patients who are not on anticoagulants who should be, and [5:00] who are having strokes. We in the patient community say that there is a fate worse than death — a debilitating stroke. I'm not a doctor — I'm simply a patient. I've been afib-free for ten years now as a result of a surgical procedure, and I feel very blessed to be afib-free. Once I knew that the afib beast was, hopefully, off my shoulder, I knew [5:30] I wanted to do something about it because I know what it's like to live with this condition. It's a debilitating condition for many people who have it. And there's a misunderstanding among a lot of doctors that afib is benign; it's just one of those things that you just go home and live with. Some of us can't live with it, and typically the younger patients find that they're very symptomatic and because of that, we need something done. So I felt like it was my mission in life [6:00] to not only help those who were living with afib to find their solution, or a way to live with the condition and manage it, but also to help wipe out strokes around the globe that are caused by atrial fibrillation. If I can do one thing, if I can make lives better and avoid strokes, then it's been worthwhile. Q: How Does Being a Patient Affect Your Views Of The Condition And Your Work? It’s certainly beneficial that I’ve lived with it and [6:30] can understand because that gives me the credibility to speak to doctors at medical conferences about what it's like to live with this condition and to help bridge the gap between patients and healthcare providers. Sometimes it's a communication gap; sometimes it's just an understanding gap. Not being a medical professional causes me to do things differently than a medical professional would on a website. So what we're focused on is guideline-based medicine, evidence-based medicine, [7:00] and bringing the world's top medical resources to bear on this problem to educate patients. So I, as a patient, can't make any kind of medical advice — and I'm not going to — but what I can do is bring the facts, the research, and bring the experts to share their experiences and their opinions about treatments and what patients need to know about these treatments. So, we're not [7:30] dispensing medical advice; we're bringing the medical experts to share their expertise. Q: What Should Doctors Know About This Site? We encourage doctors to come check out the resources on StopAfib.org. There are links to the guidelines, links to many great resources about afib, and to tell patients about our site as a source of education and support and to improve [8:00] communication between doctors and patients, because if patients understand the condition and the treatments better, they can have better conversations and better decision-making with their healthcare providers.